“Gluten” is basically a buzzword at this point, but even if you’re avoiding it, do you really know what it is? And did you know that there’s other stuff in wheat that’s also worth avoiding: wheat is bad news for reasons that have nothing to do with gluten. Here’s a look at 11 reasons why. Inflammation in the gut contributes to a problem called intestinal permeability. The gut has a very complex system of “border control” that lets digested food into your bloodstream (this is how you get nutrients from it) while keeping everything else out. Every day, you swallow millions of random viruses, bacteria, indigestible molecules like dust, and other stuff that needs to go out the other end, not into your bloodstream. Inflammation in the gut messes up that system of border control. It loosens the junctions between cells in the gut wall so too much stuff can pass through. 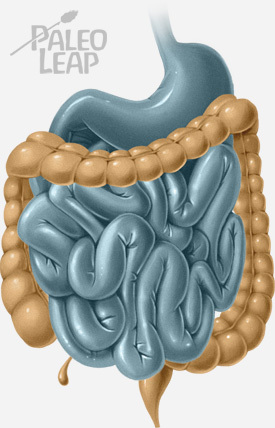 This is often described as making the gut “leaky” (hence the popular name of “leaky gut”). Items #1-4 on this list discussed how wheat makes the gut more permeable, so all kinds of stuff can get into the bloodstream even though it shouldn’t be there. Included in that stuff is…gluten! Specifically, gliadin, which is a component of gluten. Once it’s inside your bloodstream, gliadin runs into your immune system, and that’s where the problems really start, in the form of molecular mimicry. Of course, there are non-wheat-related reasons why a person might have GI problems (stress is a biggie, and stress is certifiably gluten-free). But gluten can contribute to the problem, even if it’s “only” a low-level inflammatory response that you’ve gotten used to. Sure, constipation and feeling bloated after meals might be your “normal,” but what if it didn’t have to be? And once again, this isn’t limited to celiac disease. This study describes the way non-celiac gluten sensitivity can show up as skin problems: “very itchy…similar to eczema, psoriasis, or dermatitis herpetiformis.” The itchy skin showed up most often on the arms and legs. 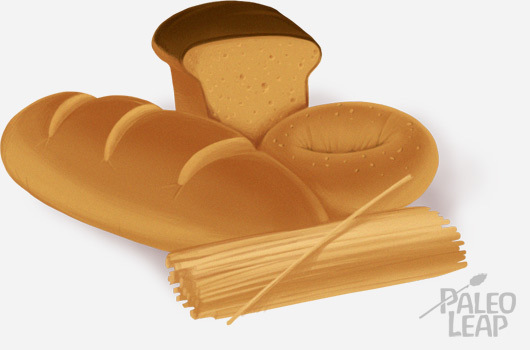 The upshot: wheat is pretty bad news even for people who don’t have celiac disease. And the symptoms don’t necessarily show up as dramatic episodes of vomiting and diarrhea. Why not try giving it up for a few weeks just to see how your body reacts – you might be surprised!